With a strong focus on R&D, Toru Abe CEO & MD says Sekisui House is dedicated to creating better homes and communities for Australians to live in. If you ask CEO and Managing Director Toru Abe what Sekisui House Australia’s main operations are, he won’t respond with ‘home building’, or ‘community development’, even though they’re essentially the sectors the company works in. Rather, he would describe Sekisui House as a technology company that is continuously striving to provide better homes for people living in Australia. Toru has lived this mantra for twenty-seven years. 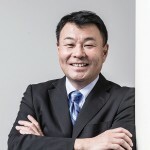 In 1990, he joined the company at its Japanese headquarters and, over the two decades that followed, held a variety of senior leadership positions. Then, in 2009, he was asked to head up Sekisui House’s expansion into the Australian marketplace. “I was reluctant to accept the challenge,” he recalls. “I could not speak English and I didn’t know the Australian way: the people’s desires, or the culture.